The 2019 Subaru WRX and WRX STI performance will arrive this summer and Subaru has announced a number of updates to keep fans happy and the competition less so. First off, the WRX will retain the familiar 268-hp 2.0-liter boxer four-cylinder engine, symmetrical AWD system and torque vectoring system. New additions to the package include a 6.5-inch hi-res touchscreen with smartphone integration and a rear-view camera. 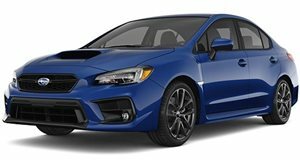 EyeSight driver assist tech also comes as standard if you opt for the CVT transmission The WRX STI receives all of the new features mentioned above and its 2.5-liter boxer engine gets a power boost to thanks to a combination of a new air intake, high-flow exhaust system and a retuned ECU. The pistons have also been beefed up to cope with the additional power, while the 6-speed manual (the only one on offer with the STI) has a shorter 3rd ratio to further enhance performance. There are a number of additional features not found on the WRX too such as a multi-mode driver controlled center differential (DCCD) and an STI sport design cluster. A limited number of Series.Gray models will also be released, 750 in WRX spec and 250 in full-fat WRX STI trim. These cars will be solely 6-speed manuals and will add a number of unique features like black-finish alloys, crystal silica badging, upgraded brake pads, LED steering responsive headlights and, on the STI, Bilstein tuned sport suspension and dampers. 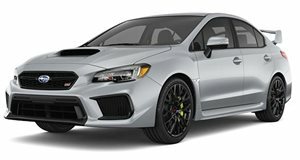 Prices start at $27,195 for a standard trim WRX and range up to $39,656 for the Series.Gray WRX STI models.